Promotional products, whether common items such as pens and magnets or more unusual items such as branded toys or back scratchers, can be powerful components of a multichannel marketing campaign. They tend to be kept for longer periods of time than traditional marketing pieces and can be highly effective door openers for hard-to-reach targets. Make your message or logo stand out by not overloading the item with too much text. Space is a premium on many items, so — in most cases — a logo and a URL or phone number is all you need. Simplify your use of color. While the cost differential between single-color and multicolor printing on paper is relatively minimal, promotional items are generally imprinted using silkscreen or similar methods. That means every color adds more cost. Use single-color versions of graphics and logos to keep the cost down. Promotional items will go out of date less quickly than printed items such as brochures and sales sheets, so don’t be afraid to stock up in order to meet a price break. This could provide you with substantial savings. Remember to take into consideration the final cost of mailing or distributing promotional items. A more expensive promotional item that ships flat may cost less in the end than a lower priced, but a bulky item that needs to be mailed in a dimensional package. Also, can your piece stand alone or will you need a printed message to go along with it? (We can help you with that, too). 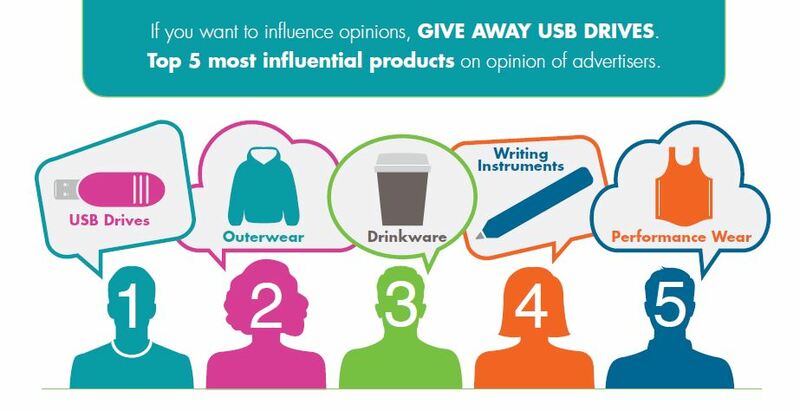 Want to learn more about best-in-class use of promotional items? Or would you like to receive more tips like these? Email us at [email protected] or give us a call at 501-375-7311.